Download our guide to buying property in France – it’s your guide to everything you need to know. Welcome to our latest edition of ‘Ask the Expert’. If you’re moving to France, buying property there, or at least thinking of doing so, you’ll definitely want to hear from today’s expert. Once you’ve found a property you want to buy and you’ve had the property surveyed, it’s time to place your offer. But how does the process work? We’ve asked a solicitor who works on behalf of British expats to explain all. David Barney from Barney & Co Solicitors answers your questions on some of the legal issues that affect those buying property in France. 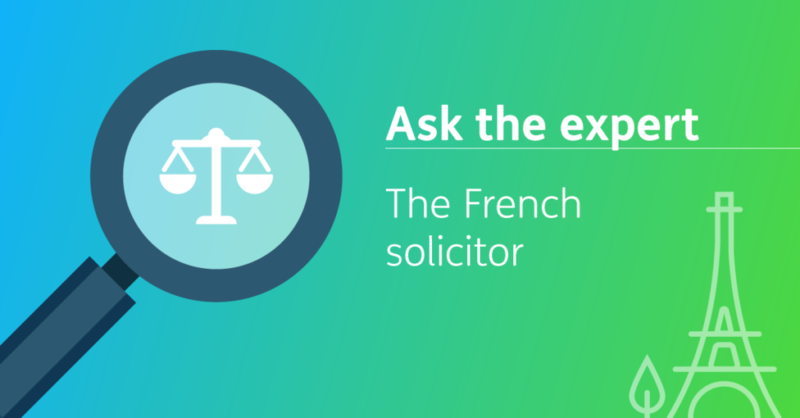 How important is it to get specialist advice from a lawyer that’s expert in French land laws? What could happen if I sign without taking such advice? You could find yourself in a position where you are obliged to buy the property (or forfeit the deposit you have paid), despite the contract having been drawn up without you having already found out whether there are any undisclosed matters such as the rights of way held by others across the property, or whether you have the rights of way needed to get to the property or use essential utility services. There are many aspects which need to be investigated before you sign a contract, and a specialist French property lawyer will be able to do these for you. When it comes to the French inheritance laws, does my French property get passed automatically onto my spouse? No, not necessarily. The way in which you purchase the property can determine the extent to which you can choose who the property is passed onto following the death of one of the owners, and the amount of inheritance tax which will have to be paid. This all comes from the French legal rules which require an owner to pass a specified proportion of the property he or she owns in France to their own biological children, and if you don’t get things right, this could seriously increase the amount of inheritance tax which will have to be paid. A specialist French property solicitor will be able to advise you on which kind of purchase do go with, in a way which suits your circumstances. For example, an “en indivision” purchase (which is what most Notaires do automatically) may well not be best for you. The French rules of succession under French inheritance law become more complicated if you or your spouse or partner have any children from previous relationships. New year, new ecommerce markets…new tax obligations?